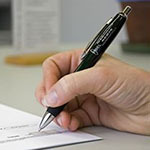 The law says you must have a written employment agreement with all employees, keep a signed copy of them and also provide a signed copy to an employee who requests one. If you don’t have an employment agreement then you risk disputes with your employees and could be regarded as encouraging unfair bargaining for which you have to pay financial penalties for breach of the Employment Relations Act. Further any arrangements about a trial period or fixed term employment could well be unenforceable. You are required to advise employees in writing that they are entitled to get legal advice about the employment agreement and give them reasonable time to do so before they sign it. It is not reasonable to give them an agreement on Friday with Monday as the a start date. You must also consider and respond to any issues with the agreement an employee raises. If the intended agreement has not been signed or the employee has not agreed to the the terms specified in the agreement then the intended agreement will not be treated as the employee’s employment agreement. The best advice we can give is that you should ensure the agreement has been signed and returned before the start date and not first thing on the morning they start work. In Kerr v Croisilles Oysters Ltd the company, as a seasonal employer, was faced with the situation where, immediately at the end of its shutdown period, it did not have enough product to employ all of its staff. It decided to recall staff in order of seniority. Ms Kerr was not one of the staff recalled. However, there was nothing in the agreement with Ms Kerr or other staff that allowed them to select staff on seniority. The Authority concluded that as there was work available they were obliged to offer it to Ms Kerr and were in breach of contract for not doing so and worse they had to pay her for that time. We will design an employment agreement that fits your business and operational needs and complies with New Zealand law. Provide a process for managing employment relationship problems. The legal name of your business e.g. personal name, company, trust, partnership. Electronic copy of your business logo. The hours your business trades. Any terms and conditions you particularly need.